Paper Tree UK sells cute paper craft/stationery supplies. I needed some new planner supplies and their items were too cute to pass up. There's some really pretty products on their shop and I picked up a few items to show you! This cute blue and white candy striped cotton twine will come in useful for making my own bunting or garlands. It's so adorable and there's plenty of twine on the roll. There's lots of different coloured twine on the shop so you'll definitely find some that you like. I also got these cute heart pegs. These are actually what first attracted me to Paper Tree UK. They're fab for using in my planner or to peg notices on to my memo board. They're just adorable really and I'm really glad that I got them. I picked up these tags as well. 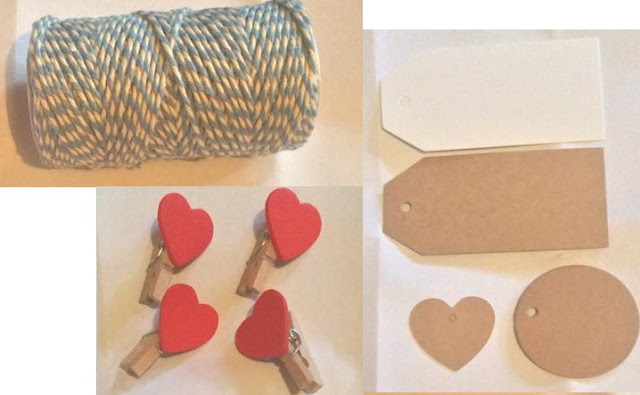 They give off such a vintage vibe, they would look cute attached to Christmas presents with some red twine wrapped around! 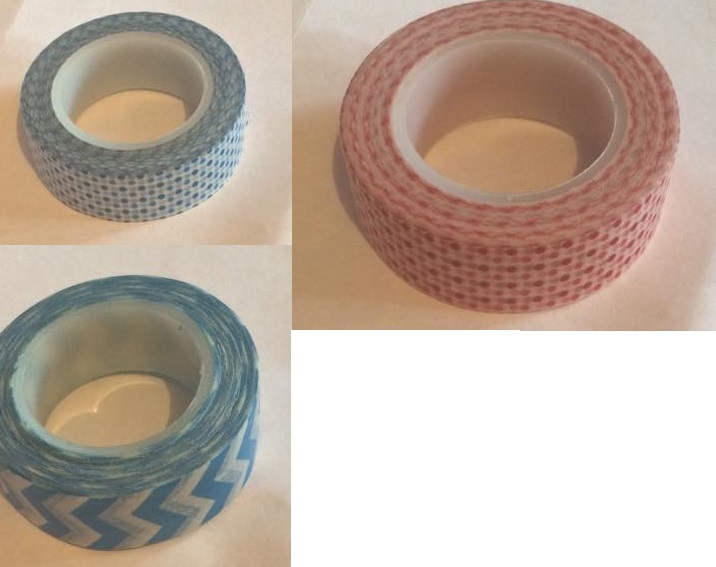 I got three rolls of washi tape as nobody can have too much washi tape. I use it all the time! In my planner, to package up gifts, to stick bunting up... it's so handy! I got a blue polka dot one, a blue chevron one and a red polka dot one. I'm pleased with my order from Paper Tree UK, everything was packaged up beautifully and my items are amazing quality as well as being pretty!